I saw some skaters sessioning this rail while on vacation in Rhode Island this week. Looks like a pretty fun thing to play on. Hop overs to hop out or 180 over out? 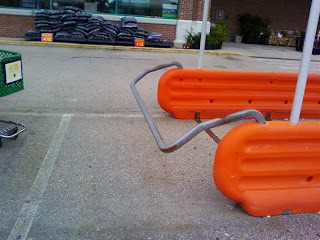 I'm going to see if this grocery store chain in CT also has these rails...if so, we may be visiting one night.